EnviroSolutions was retained to complete a due-diligence investigation at a 40-acre, 80 year old industrial site in Canton, Ohio – with all field work, sample analysis, and project write-up complete within 21 days. Previous field investigations showed volatile organic compounds (VOCs) in site groundwater above standards. EnviroSolutions determined that additional investigation was required to develop an evaluation of the risk and/or liability associated with the acquisition of the property for the client. Investigation activities included coordination of multiple field crews to complete eighteen borings, from 50 to 100-foot depths and install monitoring wells with continuous real-time vertical profiling of VOCs in groundwater using a Hydropunch and field operated gas chromatographs. 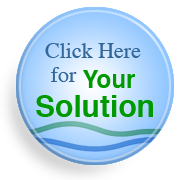 EnviroSolutions developed, sampled, gauged, and surveyed all the wells after completion. EnviroSolutions’ subsurface hydraulic testing determined aquifer hydraulic conductivity. The hydraulic gradient, based on gauging measurements and site survey data was used with the hydraulic conductivity to calculate groundwater flow velocity. Based on investigation results, multiple source areas were identified, groundwater VOC impact appeared to be distributed across the subject property, and hydrogeologic conditions indicated that there was a relatively permeable and extensive zone of saturation underlying the site and surrounding area. Conclusion: migration potential for contaminants at the site could be extensive. Risk and Liability Assessment – HIGH! EnviroSolutions ability to execute timely and effectively allowed to the client the time to make an informed decision about the site and its environmental risks and liabilities.